JBL Clip+ | Ambassador Home and Electronics Centre, Inc. 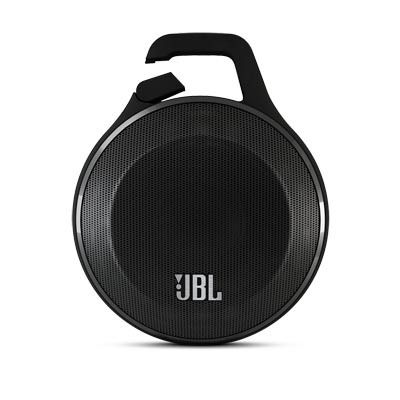 The JBL Clip+ is an ultra-light, ultra-rugged and ultra-powerful portable speaker. This splashproof upgrade to the JBL Clip+ provides 5 hours of playtime, so you can take your music wherever you go, over land or water. Stream music wirelessly via Bluetooth, or plug it into any smartphone or tablet with its integrated audio cable. Use the speakerphone to make clear, noise and echo free phone calls. The JBL Clip+ earns its name with its built-in carabiner, clipping to your clothes or backpack so you can enjoy any adventure.